To understand why microdermabrasion is bad for Rosacea, you must first understand what Rosacea is. The redness associated Rosacea becomes more persistent as the condition progresses, and you may see bumps and pimples (called papules and pustules) . Many people mistake rosacea for acne and treat it as if it were acne. Many rosacea sufferers will see permanent redness, inflammation or a lumpy skin texture on their face. Some will treat these symptoms with harsh skincare products and treatments, like chemical peels, UV light therapy, dermabrasion or microdermabrasion. These treatments may clear the skin for a while, but they will also modify the superficial blood vessels which are already severely disturbed by rosacea. Although these treatment will rid of the symptoms for a short while, you are, in effect, aggravating your condition by using such treatments. Your rosacea will only return more aggressively. Microdermabrasion is known for stimulating collagen production in your skin, although good for most, patients with rosacea already have over-active skin which doesn’t need further stimulation. It should be known that any suction treatments can cause further damage to micro blood vessels and are not advisable. Microdermabrasion is a treatment that is used to gently exfoliate the upper surface of your skin. Microdermabrasion has been used for many years to help even out skin tone, decrease pore size, reduce fine lines and help to revitalize the appearance of the skin. Lasting Looks Clinic in Toronto has been providing Microdermabrasion treatments to its clients for over 15 years with consistent and excellent results. Microdermabrasion differs from a chemical peel since it is a mechanical dry exfoliation of the skin as opposed to chemical peels, which are liquids that are derived from natural liquid acid. Both are great treatments for the right person. 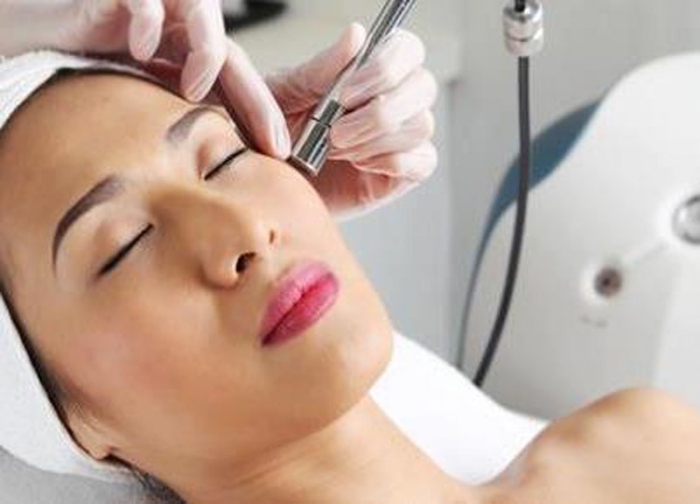 Microdermabrasion uses very tiny aluminum oxide or organic crystals, which are sprayed onto the skin and then suctioned back up through the hand piece along with the loosened skin cells. The pressure and amount of crystals being used is controlled and adjusted for each patient throughout the treatment. The result of Microdermabrasion is that your skin will be left smoother, clearer and less congested. 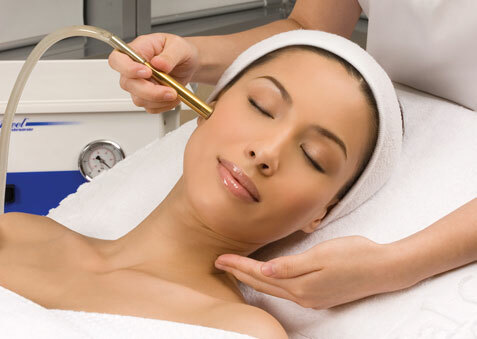 Microdermabrasion also helps with the production of new skin cells and aids collagen synthesis. With less old dead surface cells you will find that your skin care products will also penetrate better and work more effectively. No Downtime, after Microdermabrasion patients feel that their skin is more refined and can return to normal activities immediately and may also apply makeup immediately afterwards. At Lasting Looks Clinic in Etobicoke Toronto, our Microdermabrasion peeling uses tiny exfoliating crystals that are sprayed softly on the skin, with gentle exfoliation. Microdermabrasion works best on dull skin, brown spots, and age spots. Microdermabrasion works on all skin types and Fitzpatrick skin types as well. 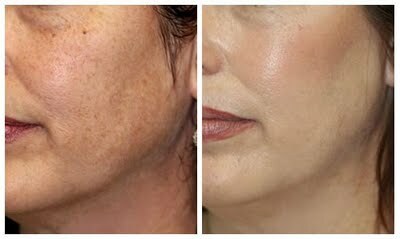 A Microdermabrasion treatment makes subtle changes, causing no skin color change or scarring. Microdermabrasion may not be as effective for deep wrinkles or deep acne scars. There is less down time with Microdermabrasion than with stronger Chemical Peels. Skin is temporarily pink but fully recovers within 24 hours. Microdermabrasion is one of the most popular services done Lasting Looks Clinic in Toronto. It is an electronic form of mechanical exfoliation that uses micro-crystals or crushed diamonds to essentially “sand” the surface of the skin. It also utilizes strong suction which helps remove even more dead cells and debris. The suction also gives a temporary plumping effect to the skin. It is imperative that you disclose your health history, as well as what medications you have taken recently or are currently taking. Certain skin conditions like rosacea or broken capillaries are also contraindicated. Our specialists will review your history and analyze your skin, and decide if Microdermabrasion is appropriate for you.